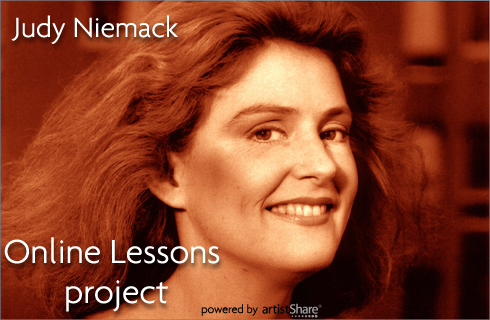 Judy Niemack's unique approach and insight into jazz phrasing on standards and vocal improvisation. Online lessons revealing Judy's past experience with each lesson topic, with new techniques for performance and improvisation. Downloadable audio discussions by Judy on a variety of subjects. An exclusive performance of the lesson topic by Judy. The opportunity to submit your questions to the Judy. She will personally answer each of them in her streaming audio shows.